Through a combination of contracts negotiated by AZBio in our Member 2 Member Program and through our partnership with BIO and the BIO Business Solutions Program, we are able to offer our members substantial discounts with many state and national suppliers. Read articles that will help you manages YOUR career. Life Collaborative is AZBio's partner for life science career training and workforce development. Access 100+ courses in business and science, including thousands of lessons. Select one or all certificate programs: Project Management, Leaderology, Biotech 101, Med-Tech, or Business Essentials. AZBio members save 20% on programs. 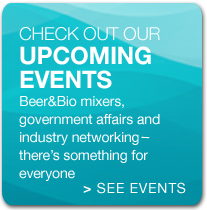 Through its partnership with BIO, the Arizona Bioindustry Association (AZBio) offers its members the opportunity to take advantage of the BIO Business Solutions® programs listed below. There is no fee for AZBio Members to utilize any of these cost-saving programs. AZBio Members Saved Over $2.8 Million off of list price with this program in 2016! The BIO-VWR program includes special pricing agreements with major manufacturers, plus many other member-only benefits. Enrollment is as simple as completing a one-page enrollment form/agreement. Contact your local VWR sales representative or BIO. With a nationwide network of local experts and branches, Airgas is your single-source supplier for medical and specialty gases, gas systems and cryogenic equipment. 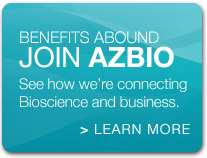 take advantage of special pricing for AZBio Members. For more than 50 years, Business Wire has delivered critical communications for everyone from start-ups to the Fortune 500. BIO has aligned with Business Wire to help you effectively distribute your news releases to your target market with easy, powerful and targeted tools at preferred pricing. Business Wire also instantly and simultaneously delivers multimedia and financial disclosure news around the world, provides valuable measurement data and offers special targeting options. Member companies can save a minimum of 10% on all news release distribution circuits and more when you bundle in any of our additional services. Clean Harbors is one of the largest Environmental Services companies in North America. Clean Harbors manages waste recycling and disposal for almost all waste streams, planned environmental and industrial services as well as Emergency Response Service with offices throughout the United States, Canada and Puerto Rico. Property and Casualty Insurance, Clinical Trials Liability Insurance, Errors and Omissions Liability Insurance, Professional Liability Insurance, Products Liability Insurance. Click here to learn more and get great advice and support from our local AZBio Member Chubb Brokers. Humboldt Storage and Moving, a United Van Lines agent, is your one-stop for moving a lab, your entire company or employee relocation, across town or overseas. Humboldt provides moving, relocation and storage services, and has a strong focus on customer service. Humboldt has a unique expertise with serving the biotech industry, and offers BIO members a substantial discount. AZBio Members saved an average of 55% off of list price on this program in 2016! Office Depot is one of the world's largest sellers of office products and offer member companies significant discounts on office supplies, furniture and equipment. BIO program offers aggressive pricing based on $6 million of total annual volume. Office Depot also offers discounted pricing on Copy Print Depot services which provide professional printing, copying, binding and finishing as well as Promotional Products services with over 1,200 promotional items available for customized company branding. Additionally, through BIO's partnership with Tech Depot (an Office Depot company), BIO members can receive significant discounts on computer & technology products. Scientist.com is an Online Marketplace for outsourced Scientific Research Services and a platform with thousands of pre-qualified suppliers providing custom research services. Immediate savings will be realized by sending requests to multiple suppliers in a single click. Marketplace users are not assessed any subscription, implementation or transaction fees. Scientist.com charges their suppliers a minimal transaction fee, negotiated by BIO, for orders processed. Signing up is simple, and Scientist.com’s Research Concierge™ — a team comprised of experts with decades of scientific experience — can assist with any order no matter how complex the project. ShareVault offers secure, cloud-based document sharing solutions, also known as virtual data rooms, that are frequently used by organizations of all types to securely share highly confidential documents with outside parties. In contrast to consumer-grade file sharing services, ShareVault allows organizations to easily share documents with third parties, while monitoring access and maintaining control. UniFirst, a leading supplier of workwear programs for businesses big and small since 1936, provides a range of apparel from traditional uniforms and industrial wear to protective clothing and “corporate casual” attire. UniFirst also offers various floorcare and restroom products. 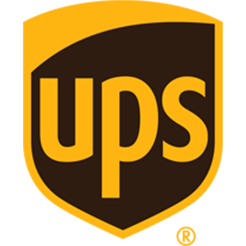 Through our partnership with BIO, AZBio is proud to offer our program with UPS to bring AZBio members up to 70% off UPS Next Day Air® services, and up to 65% off UPS Worldwide International services. This is a significant savings off published rates! UPS offers members great savings, and the peace of mind that accompanies reliable service with guaranteed delivery, and innovative technology. Additional Member Benefits: Special pricing on UPS’ Proactive Response, UPS Capital Flexible Parcel Insurance, UPS Temperature True® Packaging, UPS Store Business Services discounts and other Value added services. For more information and to enroll, visit www.bio.org/bbs/content/ups or contact Jeff Walsingham at jwalsingham@ups.com or (404) 828-3940. Sign up now, and start saving. AZBio Members have extended these special offers to AZBio Members as a service to our community. AZBio members may enroll to access the Arizona database as part of their member benefit package. The Infinata Team is also happy to work with members to demonstrate and provide access to national and international databases on a fee basis. The BNI-ASU Center for Preclinical Imaging’s mission is to provide state of the art imaging technology and expertise for researchers in the Phoenix area. The Center is a joint effort between Arizona State University and the Barrow Neurological Institute with the goal of providing key pieces of core technology and advancing science across the Valley. Our center provides a wide array of imaging modalities including MRI, bioluminescence/florescence, microPET, and microCT. Investigators can use this resource to examine, in vivo, both anatomy and function in their preclinical models. In addition to advanced technology, the Center for Preclinical Imaging also provides imaging expertise to help researchers develop and implement their imaging protocols. The University of Arizona Genetics Core (UAGC) provides high quality genetic and genomic data produced in a GLP certified facility. Our services include sample prep & QC, DNA sequencing, genotyping, mutational profiling, gene expression analysis, transgenic testing and next generation sequencing techniques including transcriptome, exome, genome and amplicon sequencing. The UAGC offers single services or can custom tailor a workflow which combines a suite of services designed to satisfy a researcher’s specific project goals. Allow us to create a bespoke, value-chic, and innovative medical device solution to meet your needs! Desert Platforms Medical Device Consultancy is focused on innovation in the medical device space. R&D, New Product Development (NPD), and prototyping via robust Design Control is the name of the game. We partner with you (inventors, entrepreneurs, physicians, researchers, start-ups, Multi-National Corporations, and others) to ensure the creation of aesthetically pleasing medical devices that meet User Needs and Business Development requirements while also satisfying Design for Manufacturability (DFM), ever-tight launch timelines, and regulatory compliance. Desert Platforms Medical Device Consultancy is excited to partner with AZBio and the Member 2 Member program! At Lean RAQA Systems, our mission is to deliver medical device, pharmaceutical, and biologic Regulatory and Quality system solutions customized to your business needs. Regulatory strategy, quality systems, and submissions are not one size fits all. Clients get practical, sustainable solutions that meet their business needs without creating undue burden. Lean RAQA Systems provides executive oversight of each project, ensuring alignment with business strategy. Our team of engineers and experts provide diverse resources so clients get a specialized team supporting their needs. Contact Lean RAQA Systems today to learn how our services can help you meet your business objectives. APS is proud to partner with AZBIO and support their commitment to growing business within Arizona as a means to diversify and promote a healthy economy. We offer a wide variety of products and services to help biotech firms manage their energy use. Our Solutions for Business program has been helping businesses across Arizona cost-effectively implement energy-saving upgrades for more than ten years. We offer free walk-throughs to identify energy-saving opportunities and rebates to offset the cost of identified projects such as lighting, HVAC, compressed air and more. We also offer monthly training classes to help you stay up to date on the latest trends in energy management. We’d love to help your business. Please note: Your business must receive electric service from APS in order to receive these benefits. Call for details on products | Some restrictions do apply | Cannot be combined with any other offer or used towards any open project. Contact us today for a FREE MARKETING CONSULTATION 866.990.3790 Contact Us Today! 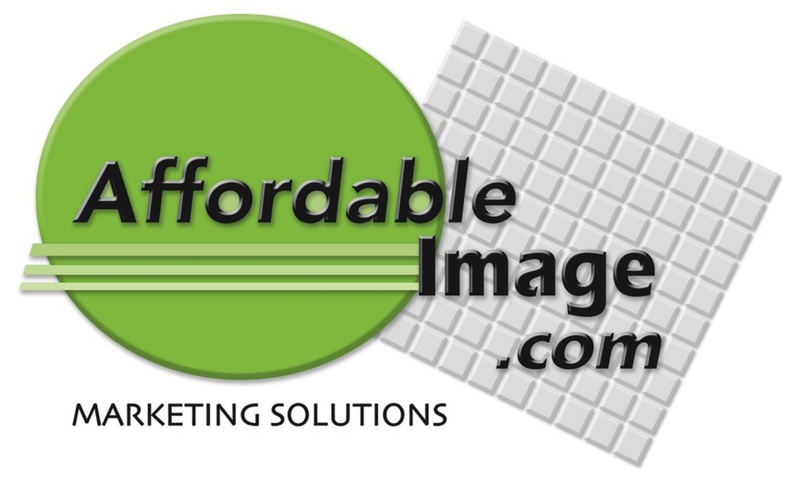 Affordable Image has been the official printing partner of AZBio since 2011. New Angle Media is a Phoenix based digital content marketing agency that produces videos, online communities and social media management on behalf of its clients. NAM, AZBio.TV's official web technology provider, has extended their digital media service portfolio to AZBio members. 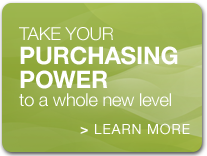 AZBio Members receive a preferred partnership pricing discount.